A joint venture between Landmark Harcourts and McCathies Real Estate has developed the Burdekin’s one stop Real Estate shop. Landmark Harcourts McCathies provide services in Residential Sales, Rural Sales, Commercial Sales, Property Management and Body Corporate Management. We are locally owned with over 90 years Real Estate experience. We have the expertise with the local market and current property trends, a solid work ethic plus well-developed negotiation skills to offer our clients exceptional service and achieving success. Trust, honesty and integrity remain the company’s personal hallmarks. We at Landmark Harcourts McCathies believe that strong communication, a personalized experience and attention to detail generate successful outcomes for our clients. Licensed Real Estate Salesperson, Rural Specialist, Clearing Sale Specialist John is born and bred in the Burdekin and has spent all of his life living and working on cane farms. John is a third generation farmer and his ancestors settled in the Burdekin in 1947. Having farmed in the area for 25 years, John has a wealth of knowledge in the farming industry and a well-informed understanding of the land and it's history in this district. Building upon his background within farming, John made the move into rural real estate in 2007. John has a dedicated work ethic and prides himself in being an open and honest agent. He is motivated to provide a committed and consistent service to his clients, that sets him apart from his competitors. 2011 was a productive year with Landmark and Harcourts merging together in a joint venture. This change gave John the incentive to become the businesses principle and obtain his full real estate license and expand into the residential market. John is our key Rural Real Estate Specialist. John has recieved special awards at the annual Landmark Harcourts awards event. John said, "Recieving awards is great, but the most rewarding accomplishment is a satisfactory result for my clients." 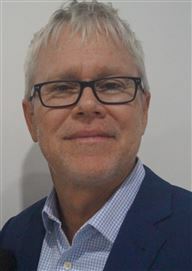 John is always available to share his knowledge and give advice to anyone looking at selling or purchasing rural property in the Burdekin region. Paula is originally from Mackay and moved to the Burdekin in 1998. Since living in the Burdekin Paula has become familiar with the town and surrounding area and the wonderful people that reside there. She has a passion for real estate and believes Landmark Harcourts are more than just about property, it is the people that matter most. Stepping into the shared role of principle of Landmark Harcourts McCathies, our company promise to deliver an exceptional level of personal and professional service. 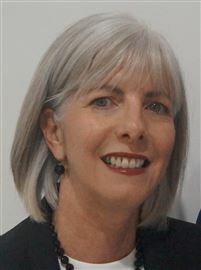 Paula will offer all her clients honesty, open and frequent communication with total commitment to work together for a less stressful and far more rewarding outcome. Jo hopes to bring her energy, enthusiasm and a fresh approach to Landmark Harcourts McCathies Real Estate and her background provides her with the knowledge and ability to work with her clients. Jo wants to help her clients make good decisions and to achieve their goals. This is a large leap for her into the unknown, she has always had a keen interest in Real Estate and this is another challenge for her. It will be an exciting and rewarding career, which allows her the opportunity to combine her love of people and her desire to achieve. Jo is committed to helping you market your property to ensure a successful sale. Backed by this dynamic Landmark Harcourts McCathies team of sales people you can be assured that your property will get the maximum exposure across all regions throughout Australia and the rest of the world. We believe in customer service, and keeping up with technology, we have to move with the times. Jo will listen carefully and act accordingly, so you get the satisfaction of the very best result. Jo’s goal is people first and will do anything to help you in purchasing your dream home or helping to sell your property so you can buy that dream. Property Manager I started with Landmark Harcourts McCathies in early 2017 and I am really enjoying the learning curves and challenges that property management has to offer. My back ground has been primarily in retail/sales and customer service, so the transition to property management has been relatively smooth. Originating from Cairns, I moved to Ayr in 2015 after living in Townsville for the last 12 years where I was co-owner of a Newsagency. When I am not at work, I’m out helping my partner with his business or I try to slip in a bit of reading. Otherwise I head up to Townsville to catch up with my Mum & 2 adult sons. I have been in various property management roles over the last 14 years. In the past I was part of a large team at Defence housing in Townsville & Cairns, managing a portfolio of over 2000 properties from as far north as Thursday Island, west to Mt Isa and as far south as Mackay. In 2011 I moved from Townsville to Ayr where I met my husband and began my role at Sugar Realty and most recently in 2017 made the move to Landmark Harcourts McCathies. The role of a property manager can be both challenging and rewarding at times but certainly never dull! I am a born and bred Burdekin local and love nothing more than going down the creek for a fish, reading a good book or spending time with my family & friends. Amy joined the real estate industry in 2011 starting as Receptionist until April, 2015. Behind the scenes, Amy studied to obtain her Real Estate Licence. Moving from Reception to Property Management, she is now an integral member of our Property Management team. Amy prides herself on keeping up-to-date with the latest Legislation and Property Management training to ensure the very best service is provided to our Landlords. She is forever cheerful and always extends a happy welcome greeting to our visitors. 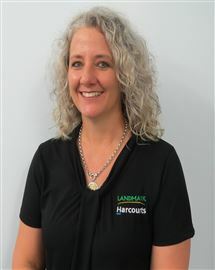 Her smile and professionalism is an asset to our team at Landmark Harcourts McCathies. Licensed Real Estate Salesperson, Business Development Manager, Assistant Body Corporate Manager, Justice of the Peace Qualified After many years in the real estate I still enjoy all aspects of property management. I take every opportunity to attend any training that is offered to keep up to date with changes within our industry. Like most things in business, it comes down to trust as we are dealing with landlord and commercial investment properties and also tenant’s places of residence. We are continually striving to have the best outcome for all parties and offer exceptional service with honesty and integrity. Having experience in property and commercial management as well as body corporate management, I enjoy all aspects of my role in a growing and rewarding career. If you are needing rental appraisals, Body Corporate queries, or any tenancy information, I am happy to help with your inquiry. Property Manager Being born and bred in the Burdekin – this place will be my forever home. I grew up and got to enjoy being around cattle properties, creek/creek huts, cane farms, nearly all the Burdekin has to offer. I left school in 2011 and stepped into the world of hairdressing and started my apprenticeship. I moved away from the Burdekin in 2013 and completed my apprenticeship in Townsville in 2014. I stepped into the Real Estate Industry in 2015 and began studying to complete my Real Estate Licence. In March 2017 – I secured the spot of a Property Manager with Landmark Harcourts McCathies & moved back to the Burdekin. Having experience in the industry, it helped with settling into my role. There is never a dull moment in the life of a Property Manager and I look forward to the challenges that it brings my way each & every day. Licensed Real Estate Salesperson; Business Development Manager; Assistant Body Corporate Manager. Nicole is a born and bred local - and she knows the Burdekin like the back of her hand. Nicole started in the real estate industry in 2004 after over ten (10) years working for a local Solicitors firm as a Secretary then conveyancing consultant. She left for a few years to raise her young family and re-joined in 2012. Her work ethic is exemplary and having her working at Landmark Harcourts McCathies since December 2017 has been a pleasure. Her responsibilities include all matters relating to Property Management, Trust Account and general Accounting. Since the beginning of 2013 and becoming a Property Manager I can honestly say this position is as satisfying as it is challenging. I enjoy helping our clients achieve their goals. Outside of work my husband and I enjoy our circle of family and friends. We have recently purchased a Jayco caravan and are working towards our caravanning adventures. I am a local girl who has lived in the Burdekin all my life. I know the district and enjoy being part of the community. I welcome challenges and the opportunity to develop my career in a professional environment. With two and a half years in Property Management and experience in Sales Administration, I pride myself on providing a level of friendly and efficient service to all our clients that I come in contact with. Landmark Harcourts McCathies are a passionate group of Real Estate Professionals, that I enjoy working for. As the sales administrator, my aim is to ensure there is exceptional communication between myself, the agents and their clients throughout the entire sales process. I’m dedicated to my position and will always find the best way to help you with your property search. Reduced and it will sell now! Good Things Should Be Shared! Hot Spot with the Lot! Warm Welcome - Must Sell!